Fibromyalgia is a chronic, inflammatory, painful condition that affects muscles and tissues all over the body. Considerable fatigue (chronic fatigue syndrome) often accompanies it. 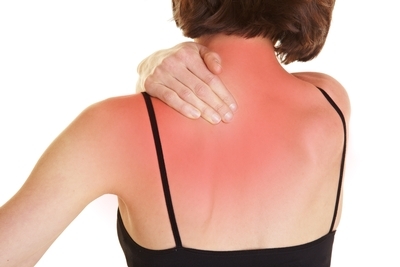 According to the Centers for Disease Control, 5 million people suffer from fibromyalgia. Institutional medicine traditionally claims there is no cure for fibromyalgia – that it can only be controlled – and it resort to drug therapy for that purpose, with a recommendation to increase exercise. 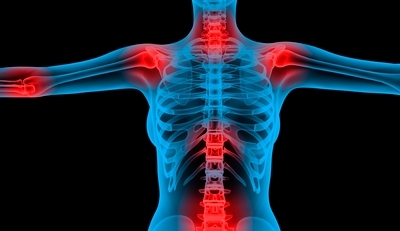 According to the American College of Rheumatology, in order to be diagnosed with fibromyalgia an individual must have experienced widespread aching pain for at least three months and have a minimum of 11 locations over the body that are abnormally tender under relatively mild, firm pressure. The mainstream medical diagnosis of fibromyalgia is, unfortunately, rather arbitrary, and is often made when the true cause of the problem has not been accurately identified. Holistically, it is believed that fibromyalgia is an end stage manifestation of symptoms of tissue toxicity as a result of multiple imbalances in the body. Some of the possible contributing factors may include musculoskeletal imbalance and mal-positioned spinal vertebrae, thyroid disorders, neurotoxin mediated illness – which is often misdiagnosed as chronic yeast infection (Candidiasis) – food allergies, chemical sensitivities, hormonal imbalances, and nutritional deficiencies. At Davis Holistic Chiropractic Center, numerous therapeutic interventions are taken to ease and eliminate the symptoms associated with fibromyalgia. Restoration of a normal structural balance of the spine (and the entire skeletal system) is a profound first step because chiropractic adjustments improve blood and lymph circulation and nerve supply to the whole body. Then the body can better eliminate, through normal channels of excretion, inflammatory compounds and metabolites that have been building up in tissue and contributing to inflammation. Next, an effort has to be made to improve intestinal flora balance so that low-level infection of the gut is overcome by a rise in healthy probiotic bacteria. When that occurs, less inflammatory chemicals are produced within the body, and the body’s toxic burden is lessened. Dr. Davis has found the use of the ionic foot bath improves lymphatic circulation, and that increases excretion of metabolic waste which contributes to a lessening of inflammation. Naturally anti-inflammatory nutritional and herbal therapies are employed by Dr. Davis with very good results. In more than 20 years of clinical practice, he has found that fibromyalgia does not need to be a permanent condition.